//string temp contains all the data of the file. This method constructs a new FileOutputStream that writes to file. Here is an example demonstrating the use of internal storage to store and read files. It creates a basic storage application that allows you to read and write from internal storage. 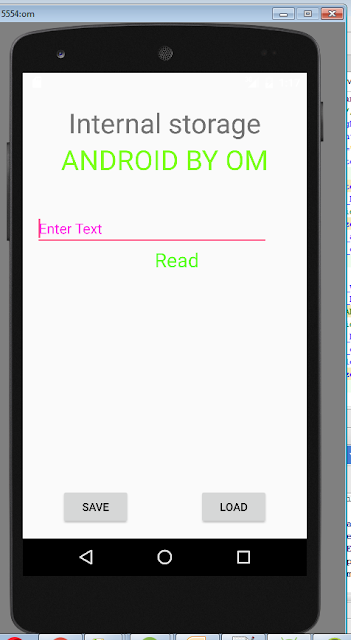 You will use Android Studio IDE to create an Android application under a package com.example.sairamkrishna.myapplication. While creating this project, make sure you Target SDK and Compile With at the latest version of Android SDK to use higher levels of APIs. Modify src/MainActivity.java file to add necessary code.